This week, let’s hoof to one my favorite shopping districts in Paris, the lively rue de Rennes—one of the longest streets in the city. Giddy-up: This is where I shop during the last few days of the Big Winter Sales. Here’s the squeal: The Zara location at 140 rue de Rennes in the Félix Potin building (an Art Nouveau marvel!) usually serves as one of “last stops” for the Spanish marque’s leftover clothing. Also, there’s a second Zara shop, located nearby at 45 rue de Rennes (next to the Église de Saint-Germain-des-Prés). Divine, yes, but their proximity also saves time. Bopping between both shops, my sister once scored a belted trench coat and black skinny jeans, along with seven turtle necks, all costing just €3,99 a piece. She had just arrived—but by this victorious wardrobe-expanding moment—the woozy feeling of jet lag completely abandoned the scene. Yes, sometimes fleeting joy CAN be bought. Thanks to Haussmann, this super-sized boulevard was made for non-stop walking, gawking and talking. Don’t forget to pack an oversized bag for your treasures. While the multiple-shopping bag scene with Julia Roberts in “Pretty Woman” is charming and all, you’re just inviting advances from pickpockets with both hands filled with separate bags. Combine them in all in one big sturdy bag. Most grocery store chains sell them for just a few cents. 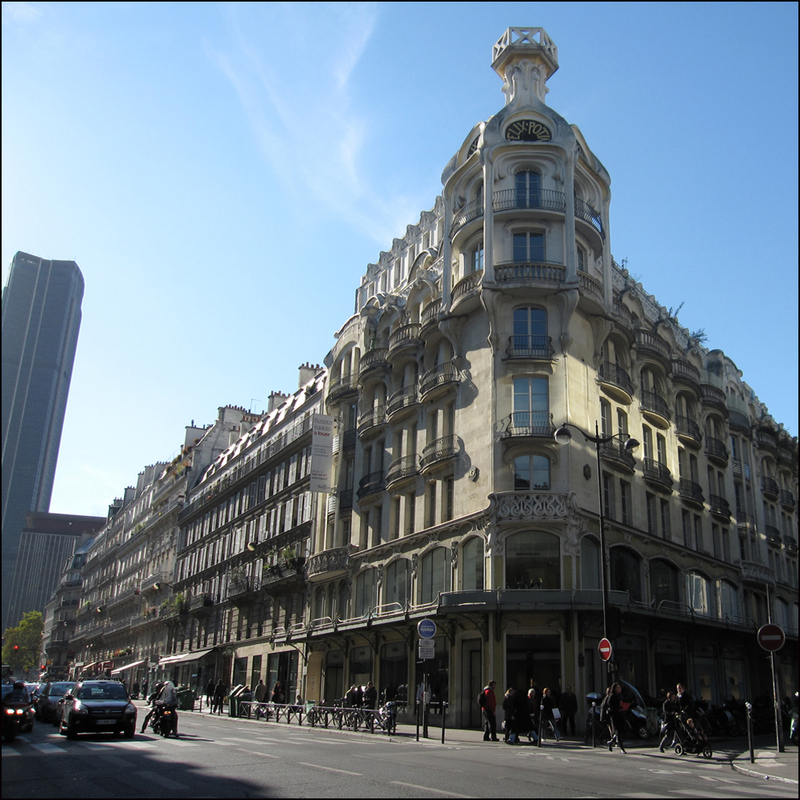 The rue de Rennes shopping district stretches from Boulevard du Montparnasse to Boulevard Saint-Germain, connecting the tallest (and only real) skyscraper in Paris—Montparnasse Tower—with the oldest church in the city (Saint-Germain-des-Prés). This ‘hood has always been one of my favorite spots for window-shopping. For the love of juxtaposition, the trendy chains and boutiques coolly mesh with the classic Parisian shops. Frankly, I dig the mix. Documentary photographer Eugène Atget would have had a field day. Stop. Look. Hold your horses! Actually, Atget did shoot a dragon here ’round 1900 at 50 rue de Rennes. Today the façade has dramatically changed, but the dragon still frolics in a land called Paree. Look for the perfect blue door and the Monoprix sign. 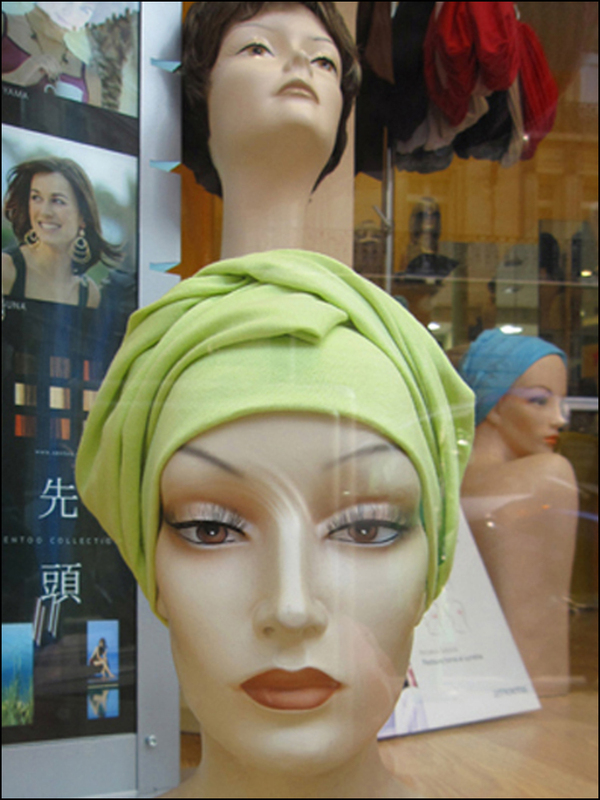 Where else in this world is it possible to fall madly for a spectacular turban window display after trying on maillots de bain at Etam? And yes, feeling all femme fatale and pin-uppity, I bought an armful of resort wear (in noir, of course, Mr. Wilder. How could I not?). Film buffs, Billy Wilder made his directorial debut during the 1930s in Paris. Can you name the film? It wasn’t “Sabrina.” Clue: The film’s leading lady Danielle Yvonne Marie Antoinette Darrieux is still one of France’s most beloved movie stars! Don’t leave the city without a flyby through the Doursoux Surplus, nestled in the shadow of the Montparnasse Tower at 3 Passage Alexandre. The prices can’t be beat and the service is always charming. Here in the airy hangar-like warehouse, you’ll find vintage bags, pea coats, hats, sweaters, belts, shoes, scarves, midi blouses, striped shirts, and sailor caps. My pal Jess recently scored a leather aviator “Trapper” cap‎ and goggles from WWI. Channeling her inner-Amelia Earhart, later she donned the headgear on the boulevards and looked silver screen marvelous. I dig chain stores. There, I’ve said it. Their affordable price tags allow me to experiment without shelling out big bucks. Keep your eyes peeled for my pet haunts: Etam, Zara, and Naf-Naf, along with Kookaï and Darjeeling. 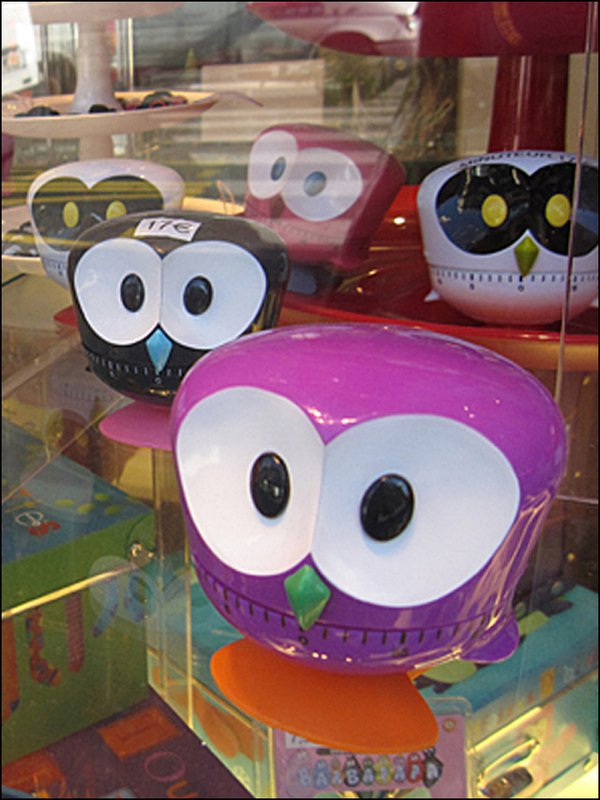 If the cuisine is your scene, pop-by the practical and whimsical La Vaissellerie, Culinarion, and Plastiques where the owl egg timers rule the roost. Need a camera chip? Stop by Fnac (pronounced “fuh-nack”). The largest French entertainment retail chain discounts their inventory of books, including the latest exhibition catalogues. Fnac also stocks cameras, camera chips and batteries (not to mention DVDs, CDs, and tons of French comic books Bande dessinée (an art form all their own). It’s now time for a little pick-me-up. 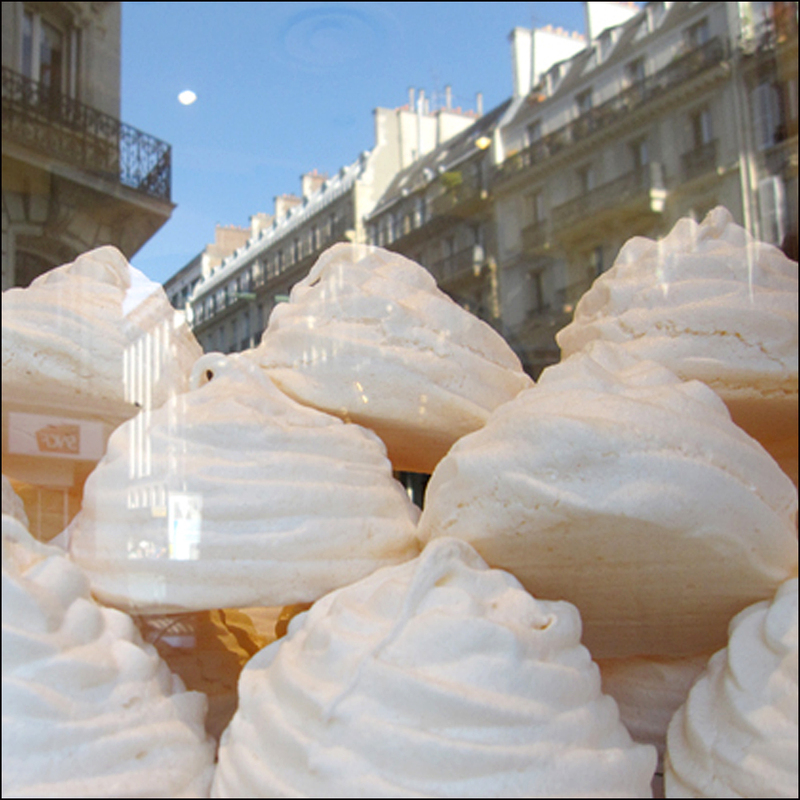 First, we’ll stop by the Boulangerie de Rennes, and buy a meringue cookie. Sweet and crunchy, it’s the ultimate instant sugar rush, making the perfect portable snack. Goldilocks, size does matter, so I recommend going with a medium-sized cookie because the smaller ones are sometimes on the dry side, and the larger ones are occasionally too soft. Next, we’ll nip into Léonidas Chocolatier and pickup a few gifts for the cat sitter. Located at 65 rue de Rennes, they’re more than famous for their sparkling (and tasty) Versailles-worthy Eiffel Tower sculptures, royal cameo candies and metallic covered chocolate hearts. In my book, edible rhinestones and dark chocolate will always this girl’s best friend. After strolling your heart out along the rue de Rennes, make a bee-line to Saint-Germain-des-Prés for some high-ticket boutique browsing. Check out the splurge-worthy beret caps at the agnès b shop at 6 rue Vieux-Colombier. They’re hard to find outside of France and terribly expensive online. Designer and founder Agnès Bourgois Troublé has also created inexpensive unisex red scarves. Available in cotton during the summertime and wool during the winter, the profits go to various humanitarian causes, including the fight against AIDS. Afterwards, let’s rest our tired tootsies and grab a café and a fromage Cantal sandwich at the Café de la Mairie at Place Saint-Sulpice. It’s another personal favorite people-watching spots, plus the prices are affordable. Bookworms, who else found inspiration here? Don’t stop me if you heard this one before! Heck, it’s one of my favorite tips. Henry Miller, Anaïs Nin, and Ernest Hemingway, along with F. Scott Fitzgerald, Saul Bellow, and Djuna Barnes. Added bonus: After fifteen years of restoration work, the church of Saint-Sulpice across the square recently shed its scaffolding, and the view is once more a beauty. Still in the mood to shop ’til you drop? Well then, jump on the “95” bus line (there are multiple bus stops along rue de Rennes), and take it to any of several other bustling shopping meccas along its route, like the Carrousel du Louvre, the neighborhood surrounding the Opéra (wannabe Black Swans, Répetto is just a hop, skip and a pirouette from the Opéra Garnier! ), or the grand magasins along Boulevard Haussmann, or the funky boutiques, vintage shops and bargain bins in the Montmartre-Abbesses area. Pinch yourself. ALL these happy-hunting-grounds are on the scenic “95” bus line. It’s another win-spin. This has been Theadora “Norma Desmond” Brack! Happy Hunting! BINGO. Ring-a-ding-ding!! Tin Man (aka, Chef Emil) solved another mystery. Yes, MAUVRAISE GRAINE was the film debut of Billie Wilder. That’s three for three in my book. I laughed out loud when I spotted “Emil and the Detectives.” Fitting! I’m giving you bonus points for contributing that wonderful tidbit. Yes, Billy Wilder wrote the screenplay adaptation for it in 1931. (I’d like to read the book and see the movie. Stay away from the chocolate!) Bravo!! And again, thanks for being our in-house Cinematic Pop Quiz Master!! Big, big hugs, T.
Dear Tin Man, your poem about Paris, time, travel, life, and memories is such a haunting, moody-bluesy beauty. I also loved the photographs. Thank you for sharing it. T.
Ah Theadora, glorious Theadora, who but you could create a hundred city blocks of shopping memories. My daughter and I lingered long on rue de Rennes. You have me digging out my Longchamp over-night bag and flying off to Paris. No reason to take any more luggage because one can shop until you drop. Paris is a state of mind, and you Theadora are the President!! V.
There was a little place where we loved to stop and relax. It wasn’t a cafe but a tiny cheese shop where you could indulge in a tray of cheeses and a lovely glass of wine. To use the facilities you descended a metal spiral staircase into the cellar. Sadly the name of the shop has slipped my mind Theadora. A cheese shop? With a metal spiral staircase. Lovely. Lovely. I’ll throw on my “Nancy Drew” detective cap. . .T. Thank you, Lily!! I always adore shopping with you. YES. I also have a mad penchant for collecting gloves. Did you pick out a pair? I’ve got my eye on the hot pink pair in the bottom right-hand side of the photograph. I also dig the pair in bright sunny yellow. Gosh, it’s always fun to shoot pics on rue de Rennes. 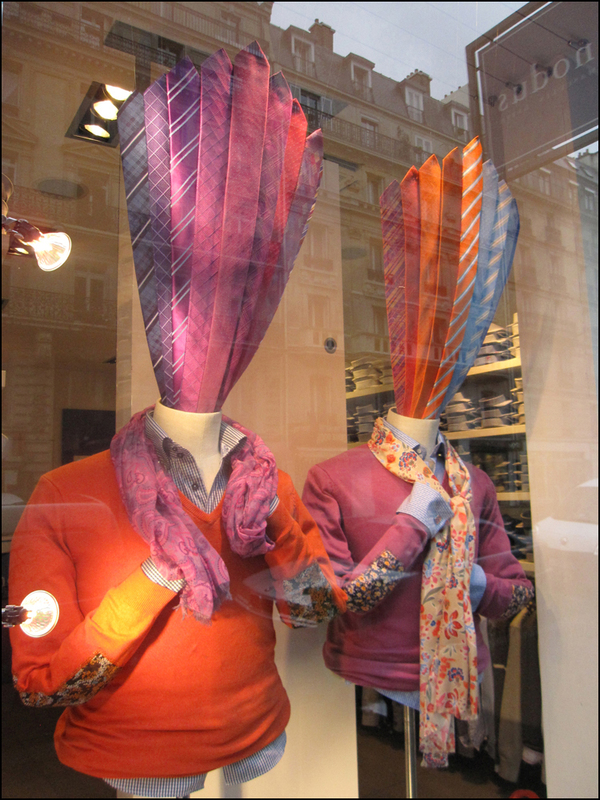 There are so many great window-displays. While in Paris, never, ever leave the hotel or flat without the camera! T.
I loved the shopping trip, just wish I could have really been there. Good tip about the one large shopping bag to help fend of pickpockets (who would know?). I have several things from Naf-Naf in Avignon. 🙂 And dark chocolate makes everything better. I regret all the years there wasn’t any, so I try to make up for it now. Haven’t made it to much except the Palais des Papes. My s-i-l and b-i-l live nearby but we mostly relax and do markets and the wineries while we’re there. Ah, Theadora, these are my nabes! Quelle nostalgie! Saint Sulpice, St. Germain des Pres, Montparnasse tower, the length of the Rue de Rennes! One of my favorite little hotels is the Abbaye on the Rue Cassette. But my years there were long before your blog, so I had no fabulous shopping maven as guide. I LOVE hearing about your shopping adventures. It’s a great area!! Plus, my favorite macaron shops are just around the corner. 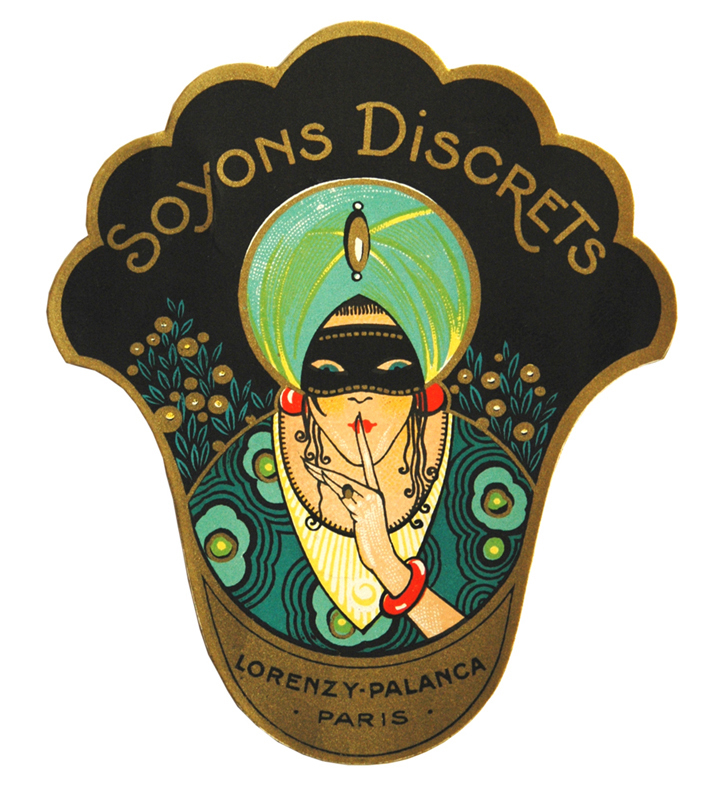 Ladurée’s Saint-Germain tea salon is located at 21 Rue Bonaparte, while Gérard Mulot holds court at 76 Rue de Seine. And oh, my. Your Hotel de l’Abbaye at 10 rue Cassette looks amazing. Very pretty! Do you recommend it? I’ve been looking for a few hotels in the area to check-out and recommend. What a great location. It’s very close to the Jardin du Luxembourg (a great place to jog!). T., It’s several years since we were last at the Abbaye. Prices keep going up, and it was a splurge for us last time (we began Paris life on humbler Rue Jacob aeons ago). And change happens. But I must say, it was really really nice when we were there last. We splashed out on an upgraded room in real Parisian modern style. Très élégante. And as you say, a GREAT location. I’d say check it out. Oh I want to have a meringue cap! Mmmm. thanks for the shopping trip. I was almost there. Thank you, Thea!! Have you seen my new “Théa” header? The “Théa” shop is located also located near Saint-Sulpice. It’s a swanky clothing shop. Let me know if you’d a copy of the pic! T.
Paris is indeed a shopper’s paradise, full of colors, textures, tastes, and tints – just divine! It’s true! It’s true! I thought of a few captions for your caption contest. I’ll stop by your site today! T.
I’m soon coming to Paris! Because you know best about Paris, is the Fashion Week at the end of March? I would love that if yes!!! Very cool post! Exciting!! I’ll get the exact dates for you! T.
Hi there! Here are a few dates. I’ll keep digging up info for you. Cheers! T.
Thanks for another bunch of good ideas for when I get that inevitable question from my visiting mom: “Where’s the good shopping in Paris?”. Posts like these will certainly be my go-to. I also must, must, must get to Café de la Mairie! Well, hello there, Corey Frye ! Congratulations on the well-deserved, very exciting “Fresh-Pressing.” Your photographs of Paris in the snow are true beauties !! Thanks for your swell words, as always. I do like the mix along rue de Rennes. Plus, Saint-Germain is located just around the corner. YES. Give the Café de la Mairie a shot. I recommend scoring an outdoor table. Here’s another shopping tip for you (and your mother!). The Annick Goutal perfume boutique is located next to the café. The body creams are wonderful and affordable. Also, for the absolute love of Woody Allen’s “Midnight in Paris” flick, Gertrude Stein’s former flat is located just hop and a jump away at 27 rue de Fleurus. A plaque marks the spot. This sounds like a perfect day of shopping for bargains, eating treats and learning more about Paris. Thanks for the great information! Ah, thank you!! Bargain Shopping + Paris History = Heaven!! T.
I’m on my way ! I’m on my way ! T.
Oh this post just makes me pine for Paris…thank you for sharing! Thanks!! I’m in the process of creating more shopping district portraits. I plan to include the arcades, along with vintage/antique shop, located at the Jardin du Palais Royal. So stay tuned! And enjoy the week! T.
Wow, what a post, T! Love the new (header?) image! And your photographs (I would like to add my applause to the first shot), which are fab! And the idea of channeling Amelia Earhart – another great image. 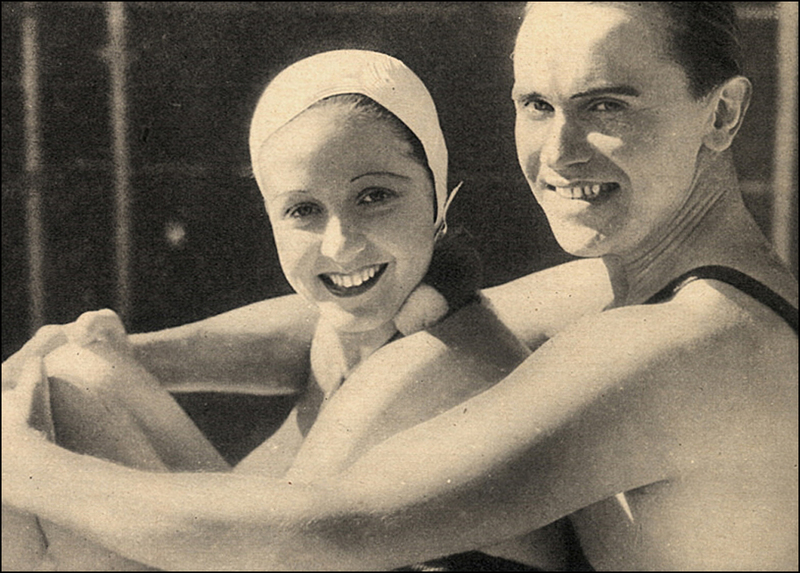 Whenever i think of her I also think of flying boats for some reason – I wish they’d bring them back. Merci, Richard! In celebration of the New Year, I added a few more headers. Thanks for noticing. Ah, the flying boats! Here’s how Anaïs Nin described the bumpy take-off during the winter of 1939, while fleeing Europe. It’s a beautiful passage. Thanks for some more great fodder for my little journal of useful info to refer to when I visit Paris again next year – love the idea of non-stop walking, gawking and talking… you have such a great turn of phrase! Ah, thanks! For the love of whimsy and goofy, I’ve never met a rhyme or pun I didn’t love. I’m currently researching the arcades of Paris. Fascinating! Lovely shopping, too. (Wink!) Enjoy the week! T.
I will look forward to your Arcades post – there is so much to see and do in Paris that I am uncovering via your blog – thank you! You know what they say – grinners are winners! Great photos… I love the chocolat Tour d’Eiffel… while its only been 2 months since I was last in Paris, every blog post of yours makes me want to get back there right away. Wow, Mlle B.! I’m purely tuckered out from this whirlwind tour! Love, Love, Love your ‘reflections’ images!!! So much seen so quickly, yet all the beauty remains in my brain…and now, with Spring not far off, I’m certain Paris will be bubbling with excitement…and romance, of course! BTW, check back on my site for the crust recipe for the pizza…I’ve gone into pretty extensive detail! AH, thank you!! Yes, I fully embrace shadows and reflections! It’s all in the composition and cropping, of course. I’m really enjoying your Chicago snow series, along with the scrumptious pizza shots and recipe. Again, thanks for taking the time to type out additional instructions for me. I’ve jotted down the recipe. I plan to create the pizza sometime over the weekend. I’ll send you a report from the field, er, cuisine. Maybe you’ll post more recipes?! B. Just assemble all the things first, Mlle B.! A prepared cook can then be as creative as he/she prefers! And I do have many ‘recipes’, but they change all the time. I’m constantly saying, “What if I add this, or don’t add that? What if I substitute this for that?”…most of the time, it all tastes delicious! I do many different types of cooking…I make excellent crepes, quite tasty, hot Thai, Northern Italian, Greek…whatever I feel would be good for the day! Fantastic post, T. I give up. I’m caving in. 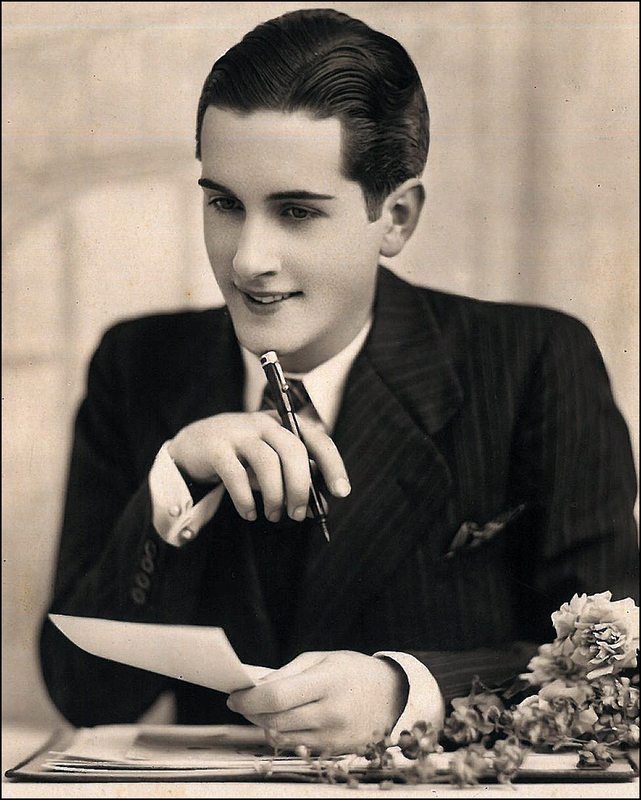 I’ve decided to grab my own sweetie and head to Paris–and it’s ALL YOUR FAULT. I figured it would be a pretty good Valentine’s Day prezzy. Two more weeks! And we’re heading for rue de Rennes first thing, too. I’ll be sure to let you know how it goes. I can hardly wait!!! Thanks for getting us BOTH fired up about this adventure. Well, goodness, Martino, this is fabulous news !! What a swell Saint Valentine’s gift. Feel free to ask questions. I’m looking forward to seeing your photographs and reports from the field and countless museums. Bon Voyage !! T.
Your photo caption was chosen in my “Nice” giveaway – congratulations, Theadora! Can you please email me your mailing address (twentyfourseveninfrance@gmail.com) – thanks. Thanks!! I’ll shoot you an email tomorrow. T.
Merci ! Merci ! Stay warm. And fire up the hot chocolate ! T.
Gosh. Thank you, Thom! I feel the same way about your work. With each post, you really bring New York City to life! I thoroughly enjoy your words and photographs. Let’s not forget the historical tidbits! What would a post be without at least one historical tidbit?! Enjoy the weekend. And take care, T.
Your posts always leave me hankering for a visit to my second home, Paris. There’s no better place to windowshop in the world. Thanks for the tour, will make sure to make the crawl along the rue de Rennes next time I’m there. My two favorites are Frédéric Malle and État Libre d’Orange. Both for very different reasons–FM for its elegance and artistry, and ELdO for fun and irreverence. 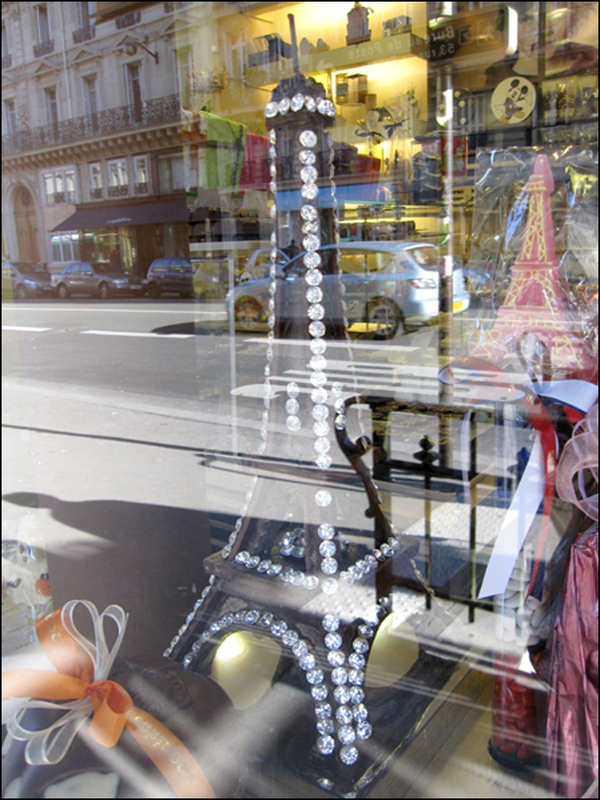 Love the reflection shots … window shopping has always been my favorite thing ….. I frequently use the images in either my photographic and literary art or in my blog jwesthardin.wordpress.com . Theres something sublime about being an outsider…….it’s quite Dickensian. Thx for taking a look at 13 Angels…after 14 months it’s finally published. I’m actually a Frenchman living in Japan! Thank you for showing another face of Paris and France! I actually hail from Bourgogne. Nobody does it better … cue Carly Simon … Theadora, I never want your posts to end. It’s not simply the information, the great photos and the turn of phrase but also the energy that wraps itself around the reader. Once again, magnifique! just touching base. Carly Simon……I bought her apartment for my art studio. She and James were married in this apt. Tee Hee. Been there… alas, the tour didn’t include shopping. I love the reflection shots…..out of this world. Your blog always fills me with a burning desire to visit Paris!! Thank you, perhaps this way I will eventually make it! I was reminded of this post when I startde to get our winter coats out of the closet. My wife has this favorite coat which she calls her “Zara Coat” which was purchased on a trip to Paris. Note: we saw the same style coat in Madrid at a slightly higher price. Memories may fade but the “coat” reminds of happy days. Thanks! Dear Thom, I love your “Zara Coat” story! Color? Style? Fabulous. I bet it transports her to Paris each and every time she wears it. While in Berlin one spring, I purchased a shiny red rain slicker in a Zara. And yes, the moment I throw it on, I’m back in Berlin. Cheers! T.
This may not be the best place to include thisbut it is interesting and when googled has had a lot of comments… many a basis for one of great essays ?? Great post, Theadora! But you forgot one of my rue de Rennes favorites: Monoprix! I always pop in when in town – great for value-priced gifts, spice bottles with French labels, etc. With your writing skill, a virtual shopping trip is almost as good as a real one. Oh those winter sales! AH, what sweet words! I agree. A virtual window-shopping trip is easy on the eyes and pocketbook! T.
Wow, first the striking black background with lively white iconic buildings and then closely followed by such a powerful energy pulsing through your posts! I love your blog! It has such a great vibe!-Karen. I love the way that blogs enable so many people to express themselves so creatively. And it intrigues me how much we reveal of ourselves in them, just by our choices of design, images and writing style. I feel so happy writing on your blog, because as I do I can see the moon and stars and even a little lady in a bath! Good design makes me feel at home and your style is unique. Tomorrow, I am going to travel around “People, Places and Bling” and it is going to be as indulgent as taking a bubble bath! Great window displays especially the ties and the gloves. The reflections in the glass give such a collage effect. And I feel the same way about your photographs! You never told me you are such a talented photographer. Talent and beauty—a powerful combination! Love the photo with the neckties! Merci! Rue de Rennes is one of my favorite streets in Paris. It’s always hustling and bustling. I love the title shot. Really dynamic and multi-layered! Thanks, Carlos! 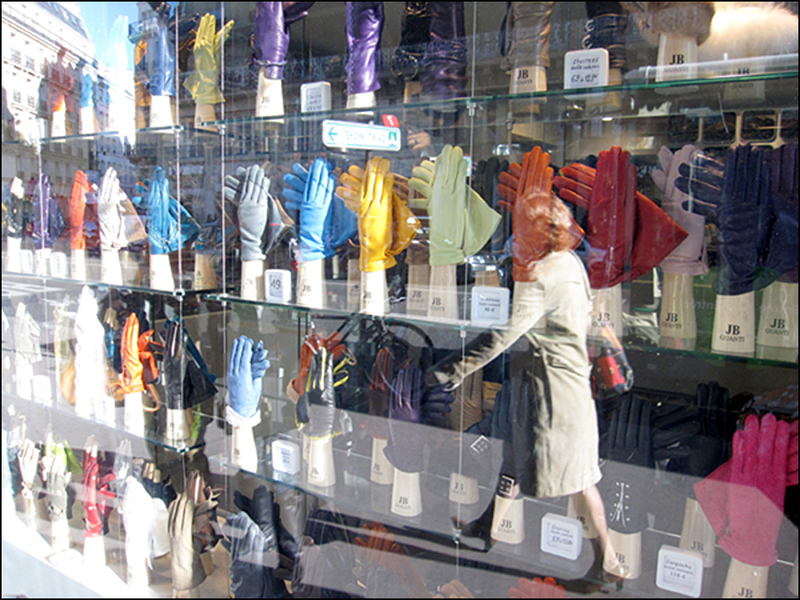 Ah, I also love the J.B. Guanti glove vitrines. Especially the window on rue de Rennes. I’d love to have a pair. Perhaps in shocking pink. Saving cents, now! Thanks, Chris! 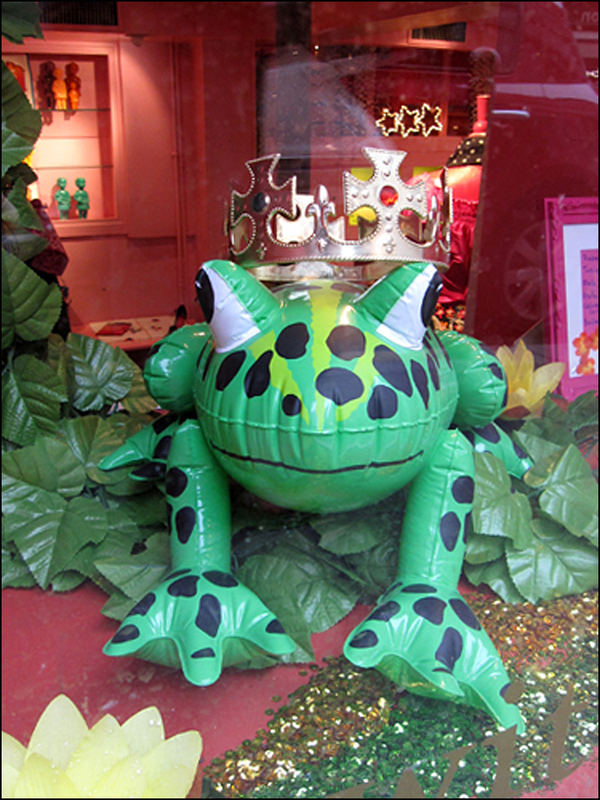 Rue de Rennes is one of favorite window-shopping haunts. Great vitrines! Thanks! I haven’t thus far, I’ve been more about traveling on a budget out of necessity, but your blog has made me want to! I may have some material for that for an upcoming South Korea series, and I just got a new job so here’s to more window shopping in the future! Besides, it’s fun to look even without funds 😉 I’ll need to do one for Venice Beach, California as well. o lala lala – Merci Theadora – Rue de Rennes – what super memories for me.